As the oldest continuous live community theatre in the Lubbock area, Lubbock Community Theatre allows our citizens to experience and participate in quality live theatre. We continuously strive to entertain, enlighten and educate all who attend our performances. LCT presents an opportunity for community members to step out of their everyday roles and to assume new roles as playwrights, actors, directors, costume designers, set designers, and audiences. Community theatre in Lubbock dates back to the 1940s when a theater was built on Avenue P as part of the WPA, called the Lubbock Theatre Centre. In 1989, the Lubbock Community Theatre was founded as a 501(c)(3) non-profit corporation, inheriting the traditions, purpose, participants and many of the physical properties associated with the old LTC; performances began in the former S&Q Clothiers building in downtown Lubbock. Production continued in that space through the mid-1990s, when it became evident that problems inherent in the facility were once again a serious problem. Beginning in 1996, LCT continued to produce a minimum of five main stage productions per season, but was housed in a number of different locations ranging from donated and leased storefronts to school auditoriums, before performing in a storefront theatre space on 34th Street for four years. Lubbock Community Theatre became a founding tenant and the principal resident theatre company at the newly opened Lubbock Regional Arts Center in 2001. The company took a significant leap forward in that year by creating the full-time position of Managing/Artistic Director, hiring Jay C. Brown. Mr. Brown holds both Bachelor’s and Master of Fine Arts degrees in theatre from Texas Tech University. The Lubbock Community Theatre is now in our permanent space at 4230 Boston Avenue, including the remodeled theatre, lobby, restrooms, green room, dressing and make up areas and offices. Despite the economic downturn, our audience attendance continued to remain in the 70% range. We also continue to have positive reviews in the Lubbock Avalanche Journal and have a strong word of mouth response to our productions. We will continue to present 5 productions in the regular season, 2 children’s productions and we will be introducing an “alternative” season which will present more “cutting edge” plays, as well as introduce new playwrights and plays to the Lubbock area. Lubbock Community Theatre’s Fall 2010 Christmas production of Nuncrackers featured a cast of 7 adults and 6 children. We believe in a well-rounded education that includes experience in the arts. We continue to conduct our youth theatre classes both in the fall and spring. These classes are divided into classes for grades 1st -5th and 6th-12th, with students learning basic theatre skills such as acting, improvisation, stage makeup, costuming and communication skills. Faculty, alumni and graduate students from the TTU School of Theatre and Dance have become key participants in the success of LCT by lending their professional theatre training and experience to the greater community. In 2003, we launched our new marketing plan developed by board members with professional expertise in graphic design, journalism, advertising, public relations, and theatre management. This plan incorporated coordinated efforts in print, radio and TV advertising, a season campaign, corporate sponsorships and program advertising. 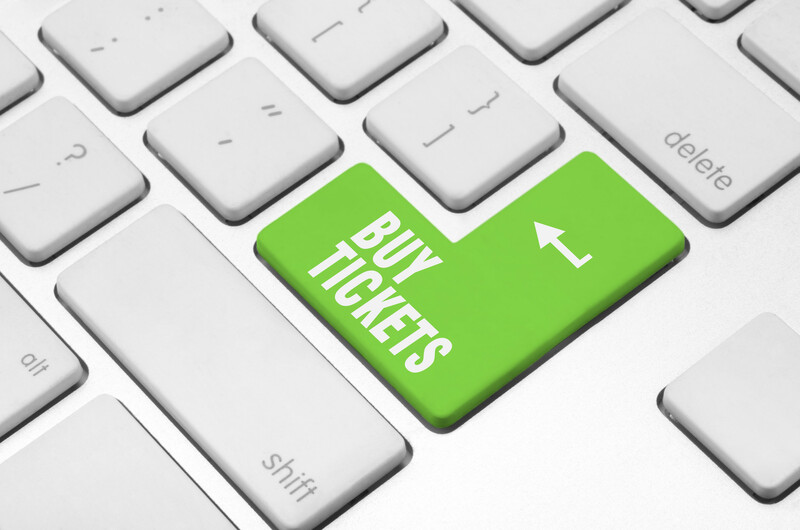 During the 2009-2010 season, LCT began using a hosted ticketing service that allows our patrons to purchase and choose their seats online. This new system was very well received with our patrons; we found that most of our ticket holders did take advantage of this system. This service also provides us with email lists and much more needed information. Along with our new online ticketing system came the creation of the Flex-Pak season ticket package. This package allows customers to choose how many tickets they wish to use on each production, and has resulted in more customers buying multiple packages throughout the season, ultimately increasing ticket sales. The LCT Board of Directors continues to evolve with the addition of a number of individuals with professional training and experience in business, theatre management, marketing and development, theatre education and outreach, information technology, directing, producing, design and acting. Board members serve as ushers, greeters, fundraisers, crew, cast, and most of all, avid devotees to our theatre. This past year has been one of the brightest in recent memory. Our new space has been exceptional on many levels. We will continue to use this space, and have ideas of possibly expanding to the next space and use this for a scene shop and larger costume storage area. We continue to choose productions which reflect both what we want to produce as well as those that the Lubbock community requests. Every year we have asked for input from patrons as to what they would choose to see and we incorporate those requests into our season. We take care to select productions which will also be the type of theatre that is challenging to our directors, actors and technical crew. LCT has also implemented an “alternative season”. At least two of these productions will be children’s theatre productions and two will be a more cutting-edge type of theatre using plays which are recently written and published. We will also be inviting new playwrights to produce their shows with us, along with possible producing a short one-act festival to offer an opportunity for those who may not be able to produce, act, or direct in other venues to use our facilities. We feel that the more people know that LCT exists, the more our audiences and reputation will grow and improve. Although there are challenges facing LCT, we are committed to continue presenting live theatre to the Lubbock community with the same outstanding production values that we have had in the past. We have learned many things this past year and hope to be able to apply some of our newly found knowledge, with your assistance, in the upcoming season. Today, the Lubbock Community Theatre has distinguished itself on the South Plains as the single theatrical producer serving the greater community of both artists and audiences in the region by exhibiting professional standards of theatre art in management, production, adult and children’s programming, educational outreach and community service.